In a commons dilemma laboratory analog subjects were allowed individually to draw valuable points from a slowly regenerating pool. Subjects participated in groups of four and faced the dilemma of either rapidly drawing a large number of points for themselves (but thereby destroying the pool), or limiting their own harvesting so that the pool would regenerate, benefiting the group. All subjects were, in addition, informed of the optimum strategy for harvesting before the game began, but results showed that this strategy was rarely used. Two factors were added to the basic game: (1) dividing the resource pool into individual harvesting territories, and (2) making the varying levels of resources visible. Each of these increased the harvest and production of the resource, but only territoriality increased the supply. Only when both factors were applied together did the groups approach the optimal harvesting strategy earlier spelled out to them. Possible mediating variables and applications are discussed. 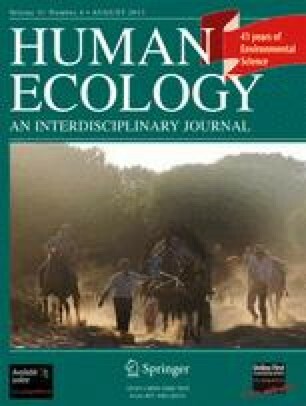 This paper is based on a dissertation thesis by the first author conducted at Arizona State University entitled “Territoriality and the Tragedy of the Commons: A Social Trap Analysis.” Grateful appreciation is extended to D. Linder, R. Hershberger, S. Braver, I. Sandler, A. Betz, R. Cialdini, and E. P. Willems for their assistance and advice.